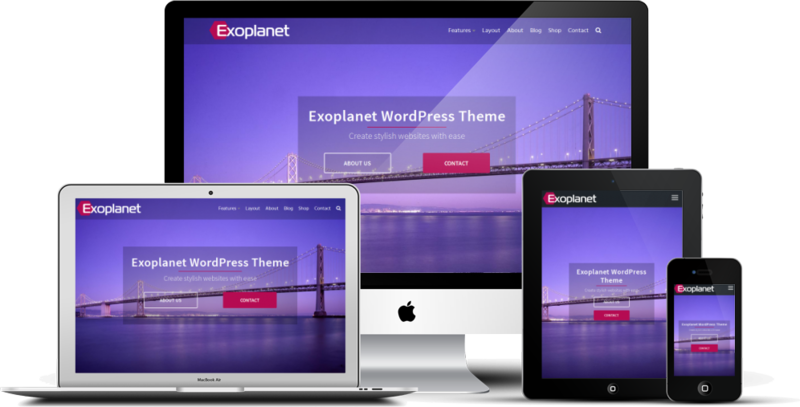 Based on the custom theme we created for our own website, the Exoplanet WordPress theme is totally free to download and install on your own WordPress website or blog. 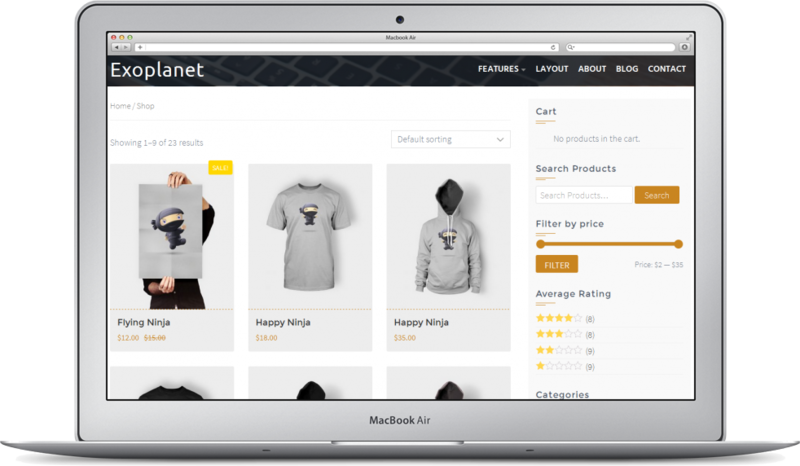 We designed this theme to be fast loading when used on any website, and we made sure that it can be customized to your liking with the WordPress customizer. Exoplanet is responsive so it is fully accessible and readable on any device. Visitors to your website will be presented with all your content in a stylish design whether they are viewing on a tablet, phone or laptop. Show off your products at their very best!